A highlight of my life was the private concert, which Peter White gave in the circle of a selected fan base during the Smooth Jazz Cruise 2005. He could access a great song repertoire with ease. He was playing so to speak “you-asked-for-it” songs. This broad knowledge of well-known songs is also mirrored in his typical cover albums Reflections (1994) and Playin’ Favorites (2006). He continues this tradition with Groovin’ (2016). Peter is performing on this album guitars, accordion, keyboards and programming. He is accompanied on selected tracks by Rick Braun and Don Harris (trumpet), Vincent Ingala (sax), Dave Camp (flute), Bill Harris (sax, flute ); Ozzie Melendez (trombone), Charlotte White (violin), Ricky Lawson and Eric Valentine (drums), Ramon Yslas (congas, timbales and percussion), David Dyson, Donald Patterson and Roberto Vally (bass), Selina Albright, Caesar, Amber DiLena, Kiki Ebsen, Leticia Renee Lumpkins, Susie Rose Major, David Sparkman and Stevo Theard (vocals). DC makes additional programming. 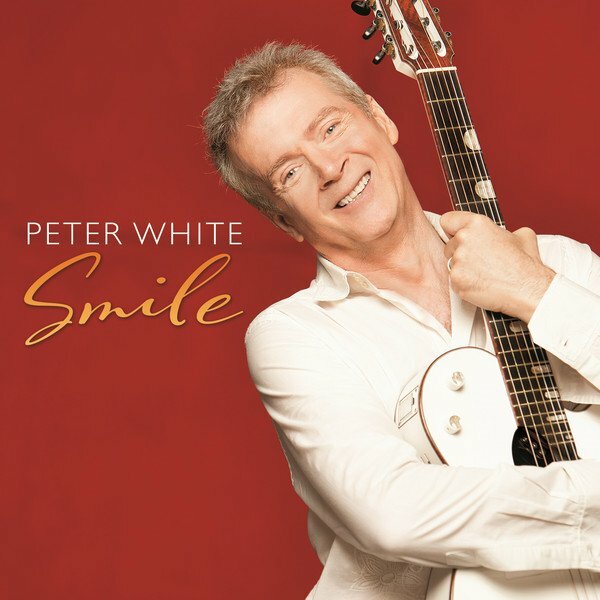 A glance at the track list and running times for Peter White’s Smile (Heads Up, 2014), one might go, “Oh, no. Cookie-cutter music.” The songs are short, hovering around that magical four-minute mark that makes all tracks acceptable for radio programmers who have the attention span of a gnat. However, it’s what White does in those four minutes that keeps this from being a typical, ho-hum, smooth jazz release. White plays nylon-string, acoustic guitar and is joined throughout by co-producer DC. Together, they handle all instruments not specified by any of the nine guest artists who appear here and there. One can’t help but smile with the title song. It opens the set with a delightful groove. Mindi Abair and Stevo Theard join with lead vocals. Rick Braun steps in with funky horn and flugelhorn solo. The lyrics are simple: “I just like the way you do it / smile / I love the way you do it / smile.” But it’s the overall vibe of the song that makes it work. When distinct modesty couples with excellent artistry, this applies absolutely to the guitarist Peter White. The uncrowned leader of the smooth jazz genre has already released his fourteenth studio album, his third for the label Heads Up International. White is joined by vocalists Mindi Abair and Stevo Theard, trumpeter Rick Braun, saxophonist Euge Groove, keyboardist Philippe Saisse, bassist Nate Phillips, percussionist Ramon Yslas and his daughter Charlotte White on violin. Stylistically White remains faithful to himself. Also on this album the acoustic guitar is his favorite instrument. All tracks are written by Peter White and DC with the exception of Don Quixote’s Final Quest, which Peter composed with Freddie Ravel. 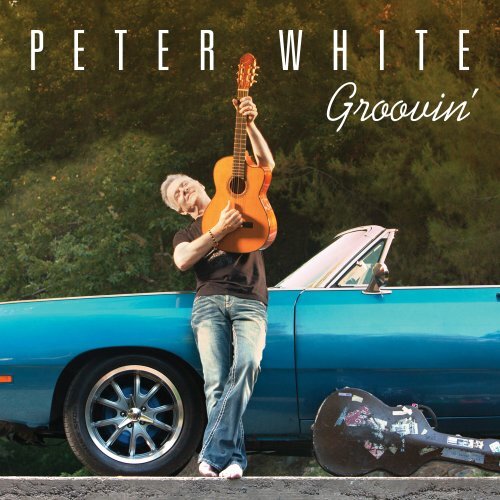 In the era ruled by the electric guitar, British-born, LA-based Peter White reigns supreme as one the world’s greatest masters of the nylon-string acoustic guitar. From the time he burst on the scene with rock legend Al Stewart in the seventies and singer Basia in the eighties to his session work with Richard Elliot, Jeff Golub, Lee Ritenour, Kirk Whalum and Boney James, White’s fabulous fingers continue to showcase the timeless tones and timbres that come from wood, skin and an expansive musical imagination. CM – Peter, many thanks for taking the time to talk to me today. The last time we spoke was back in September 2009 and in the following month you were due to go and play some dates with your old buddy Al Stewart, so I wanted to start off by asking you how that went. PW – I did some shows with him in Steelville, Missouri. It was a little hotel/resort kind of place and it seemed like fun, to me. It was, actually, a lot of fun. Getting together with Al is always fun – playing some of the old songs and playing some of the new songs. I started with him when I was 20 years old. Played with him for almost 20 years so it’s always fun to go back and re-live the past a little bit – it’s very comfortable. CM – Fantastic. And towards the end of 2009 you were due to do some Christmas shows with Dave Koz again. 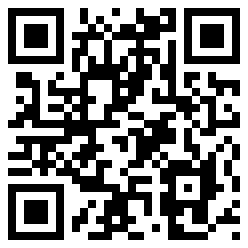 Did that materialise? PW – Yes it did. I did a whole tour with him. I’ve done many Christmas tours with Dave actually. Starting in 1998, we did five consecutive years, starting the day after Thanksgiving all the way through to Christmas and it was always a lot of fun. I was hanging out with Dave for a whole month out of the year. It was a constant party. Loved it. CM – Excellent, excellent. Listening to the new CD ‘Here We Go’ Peter, lots of questions come to mind and I wondered after that brief catch-up if we could just launch into talking about the new CD? 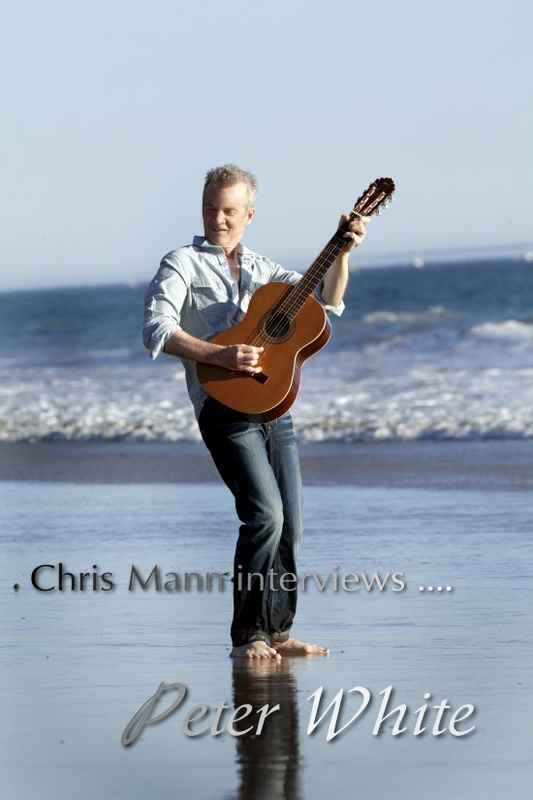 CM – I don’t want to dissect it track-by-track even though that is my usual M.O. but there were some things that really stuck out in my mind. On the first track ‘Night after Night’, I hope you don’t mind if I read from notes that I wrote recently: I wrote that it’s insanely catchy. Does that seem an apt description Peter? PW – Yes! I like that description. I write lots of songs. I get lots of ideas. That song came to me when I was writing a whole lot – I wasn’t on the road so much. If I continue working on a song it’s because it is catchy to me, it has something that grabs me. The way that song starts – it has that little keyboard melody (sings the melody) – I thought that was really nice, that hypnotic riff that you can hang a song around.